It’s time to finish up this week with some great news. As always we present you several new functions on BookLikes. Let’s see what we’ve got here this time. 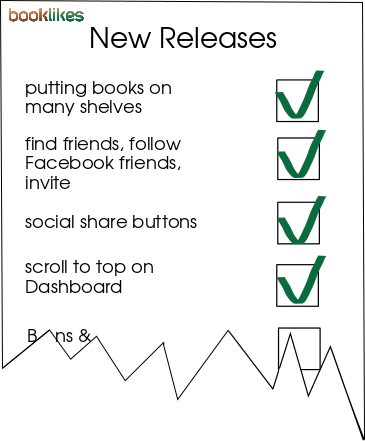 This Thursday brings multi shelves, fast way to follow and invite your Facebook friends, social share buttons on your blog posts and "back to top" on Dashboard. Putting books on many shelves was very desirable function and we’re happy to make it available :-) So now book collecting can be easier and even better arranged. How to put books on many shelves? 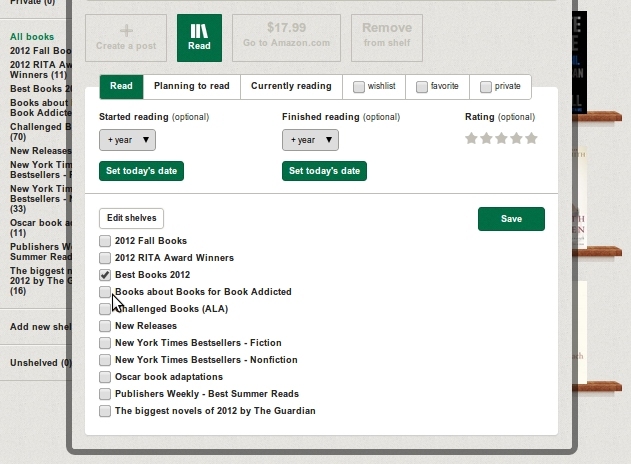 Just create shelves of your choice on your virtual Shelf and then pick appropriate ones while editing your books. From now on you can also easily Follow and Invite your Facebook friends. Just connect your Fb account in Settings and your friends will be visible on Dashboard. Then you can start following them or if they aren’t already on BookLikes, invite them via Facebook. You can also find other avid readers and your friends on Explore page where you see BookLikes community adjusted to your language version and on Find Friends page where you can search people via their names, usernames, blog names or email. Or Invite friends by inserting e-mail in Invite box (Dashboard, on the left). Your writing will also get additional social component: share buttons that can be added to your posts and reviews on your blog. Then your guests and blog visitors can easily spread the word and share your writing. Share buttons are optional, you can decide whether you want to add them or not. 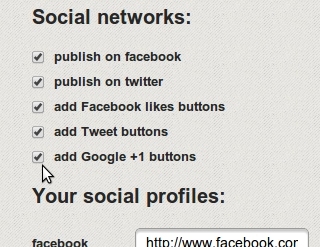 To switch them on go to your Settings/Blog and tick options in Social networks spot. Share and Like buttons will appear next to your blog posts.